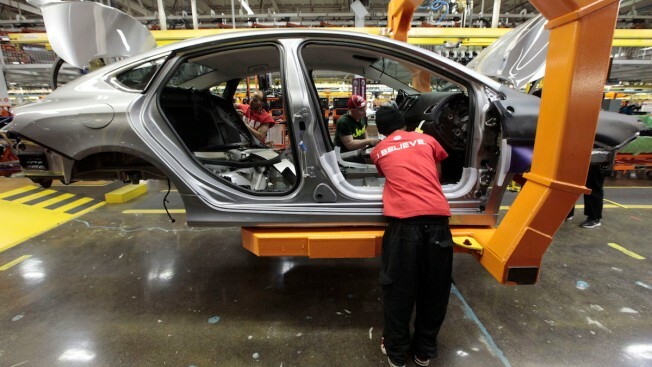 In this file photo, assembly line workers build a 2015 Chrysler 200 automobile at the Sterling Heights Assembly Plant in Sterling Heights, Mich. The United Auto Workers union reached a tentative agreement with Fiat Chrysler on Wednesday Oct. 7, 2015, avoiding a strike. Fiat Chrysler has reached a tentative agreement with the United Auto Workers union, tThe Associated Press reported. The new agreement means the automaker has avoided a strike at its U.S. plants. The UAW announced the agreement after 11:59 p.m. ET Wednesday. Details of the agreement weren’t immediately released. Local union leaders will vote on the tentative agreement Friday in Detroit.